The Blacklist, no Brasil conhecida como Lista Negra, é uma série de espionagem e drama policial do canal NBC criada por Jon Bokenkamp com James Spader no papel de Raymond Reddington, um dos criminosos mais procurados pelo FBI que acaba se entregando para as autoridades e promete colaborar na busca de vários outros criminosos perigosos, desde que fale somente com a novata Elizabeth Keen. Assiste Blacklist e foi fã da trilha sonora? Confira então todas as músicas de The Blacklist com as cenas em que elas tocam separadas por episódio. Essa página com as músicas de The Blacklist demora um pouco a ser atualizada, se não encontrar o episódio que procura verifique por aqui. 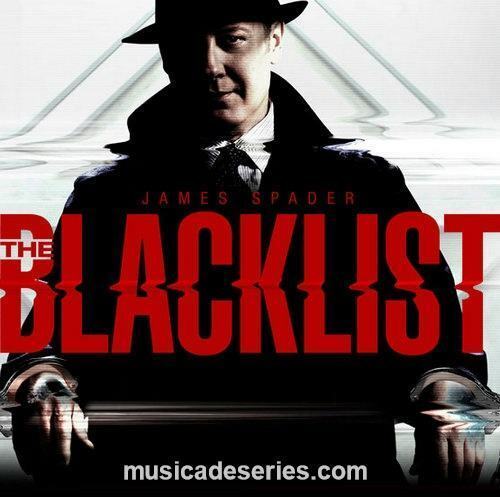 Pingback: Músicas The Blacklist Temporada 3 Ep 17 "Mr. Solomon"
Pingback: Músicas The Blacklist Temporada 3 Ep 18 "Mr. Solomon: Conclusion"
Pingback: Músicas The Blacklist Temporada 3 Ep 19 "Cape May"
Pingback: Músicas The Blacklist Temporada 3 Ep 20 "The Artax Network"
Pingback: Músicas The Blacklist Temporada 3 Ep 21 "Susan Hargrave"
Pingback: Músicas The Blacklist Temporada 3 Ep 22 "Alexander Kirk"
Pingback: Músicas The Blacklist Temporada 3 Ep 23 "Alexander Kirk Concl..."
Pingback: Músicas The Blacklist Temproada 2 Ep 5 "The Front"
Pingback: Músicas The Blacklist Temporada 3 Ep 13 "Alistair Pitt"
Pingback: Músicas The Blacklist Temporada 4 Ep 22 "Mr. Kaplan: Conclusion"
Pingback: Músicas The Blacklist Temporada 5 Ep 1 "Smokey Putnum"
Pingback: Músicas The Blacklist Temporada 5 Ep 2 "Greyson Blaise"
Pingback: Músicas The Blacklist Temporada 5 Ep 3 "Miss Rebecca Thrall"
Pingback: Músicas The Blacklist Temporada 5 Ep 5 "Ilyas Surkov"
Pingback: Músicas The Blacklist Temporada 5 Ep 6 "The Travel Agency"
Pingback: Músicas The Blacklist Temporada 5 Ep 7 "The Kilgannon Corporation"
Pingback: Músicas The Blacklist Temporada 5 Ep 8 "Ian Garvey"
Pingback: Músicas The Blacklist Temporada 5 Ep 10 "The Informant"
Pingback: Músicas The Blacklist Temporada 5 Ep 11 "Abraham Stern"
Pingback: Músicas The Blacklist Temporada 5 Ep 12 "The Cook"
Pingback: Músicas The Blacklist Temporada 5 Ep 13 "The Invisible Hand"
Pingback: Músicas The Blacklist Temporada 5 Ep 14 "Mr. Raleigh Sinclair III"
Pingback: Músicas The Blacklist Temporada 5 Ep 15 "Pattie Sue Edwards"
Pingback: Músicas The Blacklist Temporada 5 Ep 16 "The Capricorn Killer"
Pingback: Músicas The Blacklist Temporada 5 Ep 17 "Anna-Gracia Duerte"
Pingback: Músicas The Blacklist Temporada 5 Ep 18 "Zarak Mosadek"
Pingback: Músicas The Blacklist Temporada 5 Ep 19 "Ian Garvey: Conclusion"
Pingback: Músicas The Blacklist Temporada 5 Ep 20 "Nicholas T. Moore"
Pingback: Músicas The Blacklist Temporada 5 Ep 21 "Lawrence Dean Devlin"
Pingback: Músicas The Blacklist Temporada 5 Ep 22 "Sutton Ross"
Pingback: Músicas The Blacklist Temporada 6 Ep 1 "Dr. Hans Koehler"
Pingback: Músicas The Blacklist Temporada 6 Ep 2 "The Corsican"
Pingback: Músicas The Blacklist Temporada 6 Ep 3 ""
Pingback: Músicas The Blacklist Temporada 6 Ep 4 "The Pawnbrokers"
Pingback: Músicas The Blacklist Temporada 6 Ep 7 "General Shiro,"
Pingback: Músicas The Blacklist Temporada 6 Ep 8 "Marko Jankowics"
Pingback: Músicas The Blacklist Temporada 6 Ep 10 "The Cryptobanker"
Pingback: Músicas The Blacklist Temporada 6 Ep 11 "Bastien Moreau"
Pingback: Músicas The Blacklist Temporada 6 Ep 12 "Bastien Moreau: Conclusion"
Pingback: Músicas The Blacklist Temporada 6 Ep 13 "Robert Vesco"
Pingback: Músicas The Blacklist Temporada 6 Ep 15 "Olivia Olson"